The Supreme Court has asked the Election Commission of India to ‘bring on record’ the approximate time within which the entire system of the Voter-Verified Paper Audit Trail (VVPAT) can be introduced. The bench made this query on Monday while considering a contempt petition filed by the Backward & Minority Community Employees Federation (BAMCEF) for not complying with the apex court order in Dr. Subramanian Swamy vs. Election Commission of India. In October 2013, the Supreme Court bench headed by then Chief Justice of India P Sathasivam had directed the ECI to introduce the EVMs with VVPAT system. The court had permitted to introduce it in gradual stages or geographical-wise in the ensuing general elections. The court had also observed: “The confidence of the voters in the EVMs can be achieved only with the introduction of the "paper trail" ensure the accuracy of the voting system. With intent to have fullest transparency in the system and to restore the confidence of the voters, it is necessary to set up EVMs with VVPAT system because vote is nothing but an act of expression which has immense importance in democratic system.” Read the judgment and Live Law report here. 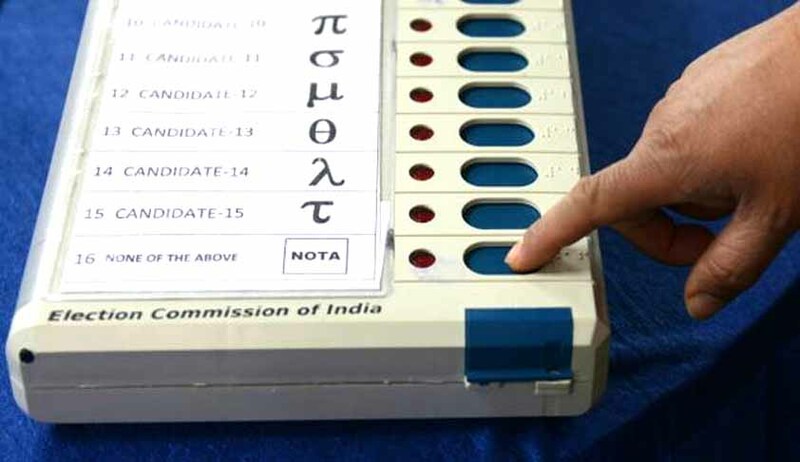 Today, the Chief Election Commissioner reportedly stated that VVPAT machines will be used in increasing number in select areas during these assembly polls and Goa will be saturated with VVPAT.